We believe eco-friendly fuel is the solution for a cleaner, better future. Be SMART today, to enjoy quality products at great rates. Priceboard shown below is updated as of ​1900hrs, 9 April 2019. For the most up-to-date information, please contact our Mandai or Serangoon outlets. For more information on how to become a Smart Member, kindly contact us by phone, visit our faq here or simply come down to our main outlets for quick registration at the counter. ​Smart Energy - Fuelling the nation towards a greener future. 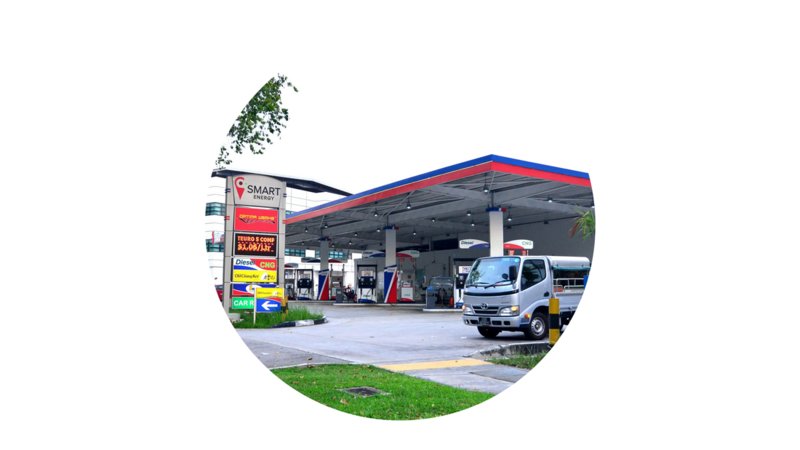 Smart Energy Pte Ltd (SEPL) is a home-grown provider of clean energy in Singapore, powering both local motorists and industries with compressed natural gas (CNG) and high quality diesel (Euro-5) since 2009. Our stations offer high-performance, value-for-money fuel for consumers that is low-emission and environmentally responsible. As our company continues to grow and develop in an ever changing world, we aim to invest our efforts and resources into constant innovation and technology to enhance the customer experience and to ultimately achieve a cleaner, greener future for the next generation. Always on the go? We're here to help. Smart Energy aims to be a one-stop solution for our time-strapped customers - allowing them to fulfil their refuelling and lifestyle needs under one roof while providing only the best quality goods and services. ​Our S-Mart convenience stores carry everything from groceries, drinks and hot food to household gadgets and car cleaning products! You'll also find a variety of services at our station to meet your motoring needs. Whether you need a quick carwash, affordable car rental or vehicle workshop repair, we've got you covered.